Abdolhossein (Hossein) Edalati is a graduate student at the University of CA, Davis in the Biological and Agricultural Engineering Department. He is advised by Professor Ruihong Zhang and has spent his graduate work on various waste management, sustainability, and environmental engineering related projects. These projects include: studying the microbial communities in a full scale anaerobic digester, producing sustainable biofertilizers from anaerobic digester effluent and testing them in greenhouses as well as on the farm for cultivation of high value specialty crops, researching ways to reduce the viscosity of corn steep liquor for potential use as organic fertilizer, and looking at manure management on California dairy farms, specifically mechanical separators on dairies and their affect in methane potential reduction in liquid storage lagoons. Lynn has worked as an Associate Engineer with Provost & Pritchard at their Clovis office since 2015 and has nearly six years of experience in civil and agricultural engineering. She has worked on SGMA projects including Basin Boundary Modifications and Groundwater Sustainability Plans, feasibility studies, water well projects, and water resources design projects. Lynn graduated with her Bachelor’s Degree in BioResource and Agricultural Engineering from Cal Poly, SLO and got her Master’s Degree in Civil and Environmental Engineering from Stanford University. In 2015 Lynn earned her Professional Engineering License in Civil Engineering. She also earned her Professional Engineering License in Agricultural Engineering in 2017. Lynn was named the ASABE California/Nevada Section Engineer of the year in 2018. She will be the Vice Chair of the ASABE California/Nevada Section. Dr. Bo Liu is an assistant professor in BioResource and Agricultural Engineering Department at Cal Poly State University. He received his doctoral and master’s degree from the University of Missouri – Columbia. He teaches coursework in the areas of electronics, sensors, data acquisition systems and robotics, and conducts research in emerging information technologies, artificial intelligence and mechatronics applications in agricultural production and processing. His research projects have been funded by private companies, state and federal agencies. He has been invited to present research projects at various national and international conferences. 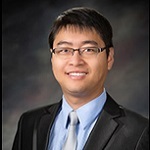 Dr. Liu is the past committee chair of American Society of Biological and Agricultural Engineers (ASABE) ITSC-254 Emerging Information Systems, and the current secretary of ASABE California-Nevada section. 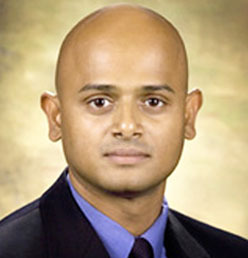 Dr. Balaji Sethuramasamyraja (Dr. Seth) is an Agricultural Engineer & Associate Professor in the department of Industrial Technology, Jordan College of Agricultural Sciences and Technology at California State University, Fresno. He is the Program Director of Agricultural Systems Management major and Precision Agriculture Technology minor. His research interests are in the areas of precision agriculture, Smart Farm automation/robotics, Internet of Things ‘IoT’ and applied engineering research in agriculture. He takes immense pride in teaching, research and student advising. Tyler Barzee is a PhD Candidate in the Department of Biological and Agricultural Engineering at UC Davis. He received his BS in Biosystems Engineering from Clemson University in ’14 and his MS from UC Davis in ’17. At Davis, he is advised by Professor Ruihong Zhang and most of his research focuses on the sustainable utilization of anaerobic digester effluent (digestate). He has worked on projects including: liquid and solid biofertilizer production from digestate, farm-scale evaluation of biofertilizer products in growing tomatoes and corn, pilot-scale microalgae cultivation on processed anaerobic digestates, evaluation of technologies for methane mitigation on dairy farms, and fungal bioflocculation of microalgae and bacteria. Traeger has been with Southern California Edison for six years, concentrating primarily on energy efficiency. Traeger consults with Edison’s large business customers on how to better use energy. In that capacity, he performs energy audits, makes recommendations for upgrades, quantifies the energy savings associated with those upgrades, and links those projects with incentive programs. Often times Traeger feels like he’s in an episode of Modern Marvels as he tours manufacturing & processing facilities while on the job. 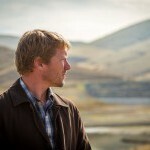 Traeger graduated from Cal Poly San Luis Obispo in 2000 with a Bachelors Degree in Agricultural Engineering. Prior to joining Edison Traeger worked in the automated controls industry, designing and implementing control systems. Traeger is the California-Nevada ASABE section Program Chair, a position that he has held for three years. Prior to that he was the Industry/Student Liaison. 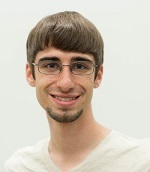 Andrew Skidmore is a Mechanical Engineering sophomore at CSU Fresno. When he joined ASABE as a high school junior, he was the youngest ever member of the organization and has been a member for over five years. In high school, he started his own business, Fabrication Farms, servicing the agricultural community. After graduating high school, he served as the State FFA President before attending Modesto Junior College. He has held numerous internships, including food processor White Oak Frozen Foods and PG&E. He loves public speaking, travelling, and any adventures outdoors. Carolyn earned an Agricultural (Biological Systems) Engineering BS degree from UC Davis in 2001 where she spent two years as a live-in caretaker at the Animal Science Horse Barn. In 2000, Carolyn was introduced to the USDA’s Natural Resources Conservation Service (NRCS) as a student intern in the Dixon Field Office. After graduation, she joined NRCS at the State Office where conservation/agricultural engineering took her as far north as Tulelake, as far west as Ukiah, as far east as Auburn, and as far south as Modesto. Her design projects have varied from irrigation and tailwater return to dairy waste management to streambank repair and revetments to small pond design and design/computation tool development. In 2004 Carolyn obtained her Civil Engineering Professional Engineering license. She transferred to the Napa Field Office in 2006 and has been working with landowners and partnering agencies on erosion control, storm water conveyance, livestock water systems, irrigation water management, and stream restoration design projects. In 2007, she earned her Agricultural Engineering license and is proud to be double-registered, including in the field of her passion – agriculture! 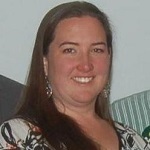 In January 2012, Carolyn was promoted to the Bay/Delta Cluster Engineer and serves 8 counties. Carolyn was a 2009-2011 ASABE Trustee, is the 2010-2012 Chair of ASABE’s Professional Engineers Institute, has been active in the CA/NV Section since 2001, and participates on a few Soil and Water (SW) committees. 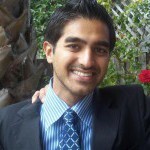 Dr. Ehsani received his Ph.D. in Biological and Agricultural Engineering from the University of California, Davis. he has more than 25 years of experience in California, Ohio, and Florida as well as several other countries working on the application of precision agriculture for high value crop production systems. His research is focused on system integration and applied research on developing advanced technologies for production and postharvest of high value crops to increase profitability and sustainability of agriculture production systems. He has worked on developing sensors and data analysis techniques for early disease and stress detection of different crops as well as sensor systems for yield mapping and yield estimation. Currently, as a professor of Mechanical Engineering at the University of California, Merced, his areas of research include: engineering systems for agriculture, automation and intelligent machines for production and postharvest of agricultural crops, precision agriculture technology, sensors for biotic and abiotic plant stress detection, and mechanical harvesting machines and robots systems for fruit and nut trees. Ferisca Putri is a second year Master’s student at the University of CA, Davis in the Biosystem Engineering program. 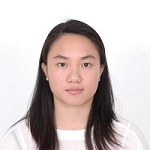 She is working under Dr. Tien-Chien Hung and Dr. Heiner Lieth on projects related to soilless culture production and recirculating system, specifically in citrus nursery production. Her area of expertise includes controlled environment agriculture, hydroponics and aquaponics, plant nursery production, water and waste water treatment, and algae production. She has a bachelor’s degree in Agricultural and Biological Engineering with a focus on soil and water resources from University of Illinois at Urbana-Champaign. Membership Chair – Betsy Gerwig, PE; JM Lord, Inc.